A few days ago, I sampled a wonderful soup at my friends Tamara and Nicholas' house. It was absolutely delicious and a perfect rainy day treat. This is my version of Nicholas' soup. It's quick, easy, delicious, and incredibly healthy! Like many kids, my boys don't love foods that they don't like the look of. So while I think this soup is gorgeous, they had their required taste and moved on. My parents, husband, and I loved it! Add the olive oil, onion, and garlic to a large soup pot. Cook over medium heat to soften the onion, about 4 minutes. 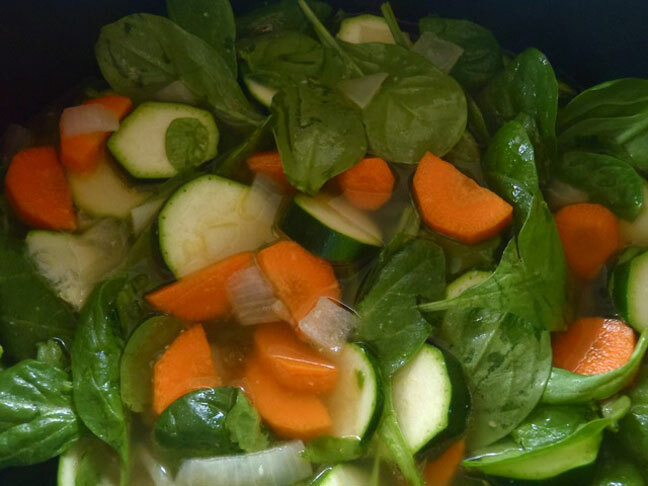 Add the carrots, zucchini, spinach, water, and soy sauce or Liquid Aminos. Bring to a boil, cover, and reduce the heat to low. Simmer the soup, covered, until all the vegetables are soft, about 15 to 20 minutes. 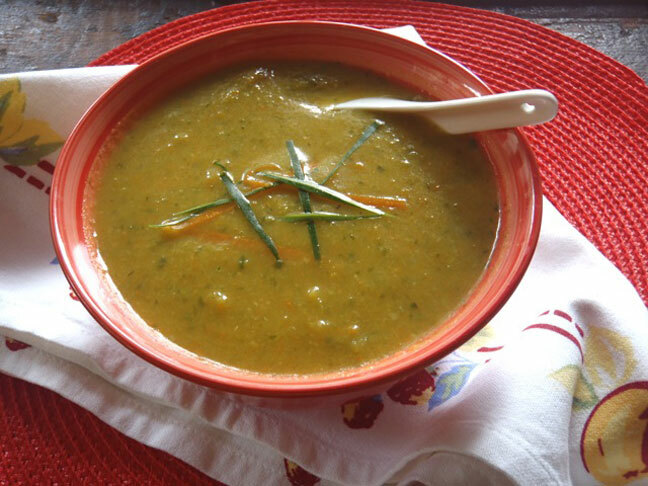 Puree the soup with a standing or hand blender until smooth. Liquid Aminos are a liquid protein concentrate derived from healthy soybeans that contain tons of Essential and Non-essential Amino Acids in naturally occurring amounts. Amino acids form the proteins that in turn form muscle tissue and increase fat metabolism. Without amino acids, all cellular development, respiration, or renewal would cease. 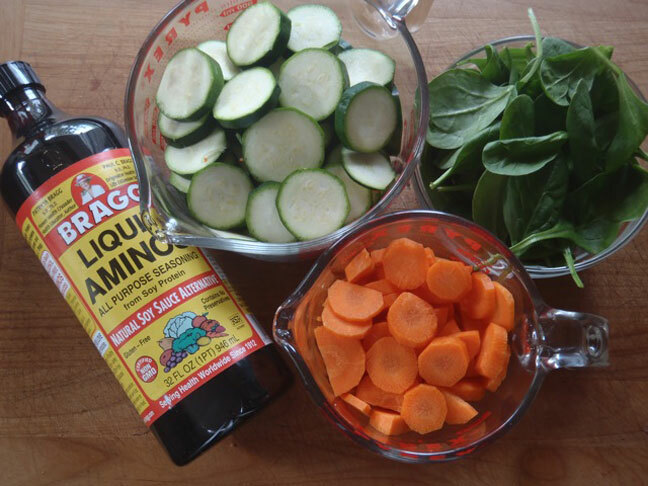 I recommend Bragg Liquid Aminos — which is really tasty, and it's a fantastic alternative to soy sauce. It's available at Whole Foods.